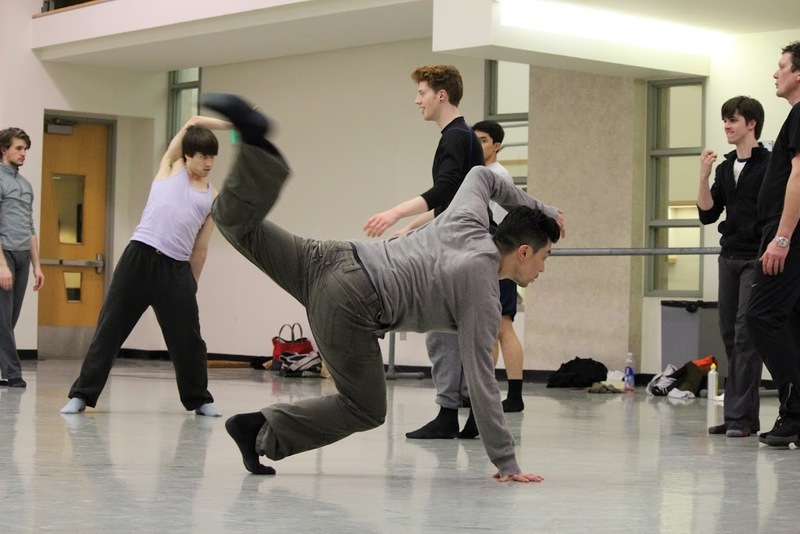 Pacific Northwest Ballet fosters young choreographers in an unique program called – NEXT STEP. NEXT STEP is where Company dancers rise as choreographers and PNB School’s Professional Division students take center stage in an all-premiere lineup of works created just for them. It is essential to understand the need of composers and choreographers to have outlets available to them for experimentation in music and movement. … by providing dancers with the ability to perform and the desire to expand their experience, Pacific Northwest Dance will bring in composers and choreographers from around the nation to “do what they’ve always wanted to do” but were unable due to professional cost factors. It was not until 1978, however, that PNB was in a position to realize this plan. Less than one year into the artistic directorship of Kent Stowell and Francia Russell, the first of four annual choreographic workshops, Summer Inventions, was held in July of that year. I understand you are commissioning works from young choreographers this summer. I’m a young choreographer who would like to apply. I love dance—I love music: That’s what my work is all about. Enclosed is my résumé. If you need more information, please write or call. I wish I had a typewriter. Choreographer Mark Morris leads musicians during rehearsal for his new Kammermusik No. 3, his first piece for PNB in more than 30 years. Photo courtesy of The Seattle Times. Morris’ first work for PNB, Brummagem (featuring 8 dancers and set to Beethoven’s Trio in B flat major, Opus 11, for clarinet, cello, and piano) premiered 7/22/78. Morris had hoped to have “live” musicians, in particular, his friend Page Smith performing the cello part. He noted in a May 1978 letter to Stowell, “I admire her playing and she has a very good understanding of my work.” Unfortunately, the work was performed to taped music. For the 1980 Summer Inventions, PNB extended its exploration of new ideas by collaborating with four Northwest artists: Parks Anderson, Galen Garwood, Charles Luce, and Peter Millett; they provided set designs for four of the works performed over two weekends. Val Caniparoli, whose ballet Street Songs was featured in the 1980 program, returned to create works for PNB’s regular repertory in 1991 (Gran Partita), 1998 (The Bridge), 2001 (Torque), and 2009 (The Seasons). The Seasons. Photo by Angela Sterling; choreography by Val Caniparoli, 2009. The Summer Inventions program lapsed after the 1981 performances due to financial difficulties. PNB’s commitment to foster young choreographers in a workshop setting was renewed with PNB Offstage, which was launched in March 1990 and continued annually through the April 1995 performances. Lila York, choreographer and former Paul Taylor dancer, served as coordinator/director of the program. In May 1993, after the opening of the Phelps Center, performances moved from the rehearsal hall at the Opera House to Studio C, the Gallery Studio in the Phelps Center. A few of the Offstage choreographers returned to the Company to create ballets for the regular repertory. For example, Mark Dendy choreographed Ballet 1 for Offstage 1991, and returned to create Symmetries, Les Biches, and Auguries: one, two, three for PNB’s repertory in 1994, 1997, and 1998, respectively. Ton Simons’ Perilous Night premiered in the April 1995 workshop, the last year of Offstage performances; the following year he choreographed The Tenderness of Patient Minds, which had its world premiere on PNB’s East Coast tour in October 1996 and its Seattle premiere in November. One work, Kirk Peterson’s contribution to the 1992 Offstage, was taken into PNB’s regular repertory in November 1993 (Amazed in Burning Dreams). Carmina Burana. Photo by Angela Sterling; choreography by Kent Stowell. Funding problems led to the cessation of the Offstage series after 1995. It was not until 2004, due primarily to the Glenn Kawasaki New Works Fund, that PNB’s commitment to choreographic workshops again was realized in the form of the Choreographers’ Showcase in 2004 through 2010, and continued as NEXT STEP in 2011 and 2012. These specifically focused on PNB dancers choreographing for company members, and most recently for dancers in the Professional Division of Pacific Northwest Ballet School. In addition to nurturing choreographers in a workshop setting, PNB has commissioned new works for the regular repertory from choreographers affiliated with the Company and from outside artists. 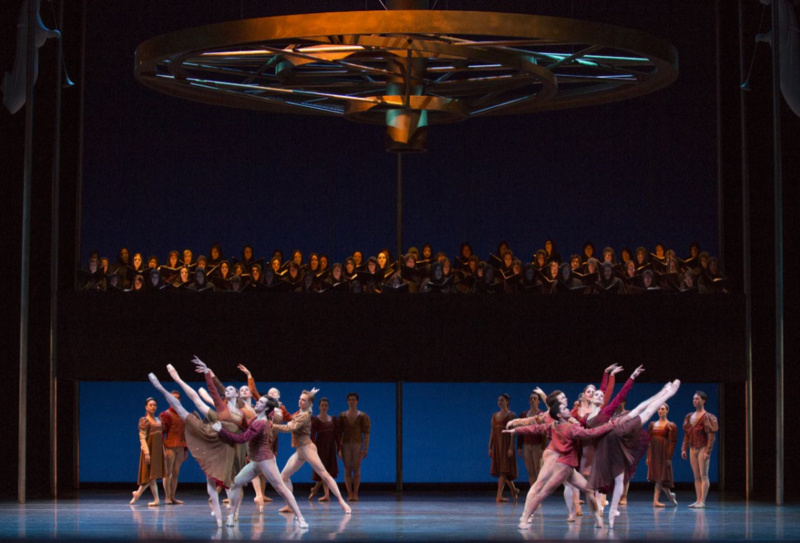 Kent Stowell, during his 28 years as artistic director and principal choreographer, created 26 ballets for PNB (not counting his story ballets and full-length works); several of these involved collaboration with composers and commissioned scores. In 1989, three PNB dancers, Lucinda Hughey, Hugh Bigney, and Benjamin Houk, choreographed works for Company dancers for the April program in the Opera House. In recent years, Paul Gibson (former principal dancer and currently ballet master), Olivier Wevers (former principal dancer) and Kiyon Gaines (former Company soloist) have created works for the mainstage, as well as for choreographic workshops. Company members have been a few of the new wave of NEXT STEP choreographers who are exploring their inspirations. Jessika Anspach in “Sum Stravinsky.” Photo by Angela Sterling; choreography by Kiyon Gaines. PNB has supported new creations throughout its history and will continue to invest in the future of dance.